For Jake Robinson, the Founder of Superdraft Australia, the secret of a successful architecture firm is having a solid and loyal customer base. Customer satisfaction will secure your company’s future. “Ensuring customers have a great experience with your product or service is everything in business. If you want to build a brand that attracts repeating clients and referrals, you should provide great experiences to your clients,” Robinson said. Your current and previous customers are your springboards for acquiring new clients. Each one of them has a voice that will impact the products and services that your company offers. They have power through online reviews, customer satisfaction surveys, and word of mouth. These are free advertising which you should take advantage of. And, it’s only possible when you keep your customers satisfied. “It’s simple math. If you invest 10% extra effort to ensure each client receives a great experience, then they are most likely to come back or refer you to their friend, family, or colleague. That easily translates into compounding sales growth of up to 100% above normal outbound marketing. So, to invest 10% now for potentially 100% extra sales in the future is a great ROI“, he said. Every ingredient of a successful business that leads to customer satisfaction. Yet, there are many architecture and design firms that work towards the same goal. The tight competition makes it challenging for you to have a solid customer base. You’ll need something that keeps them from switching to your competitors. “We try hard to set good expectations from the start while trying to meet the customers’ expectations. We ensure a clean handover from our sales consultants to our project managers“, Robinson said. At Superdraft, we offer friendly and professional design solutions. We conduct upfront client consultations, scoping, and quoting processes. We ensure a speedy process through maximizing our huge network of designers. Our process lets us finish over a thousand residential and commercial projects annually. In the last quarter, 83% of them commend us for our excellent service. Prominent award-giving bodies like Smart Company and Australian Financial Review recognised us too. Get a FREE quote from our team. “We also invest heavily into innovations in the design process to provide our clients with offerings they cannot get anywhere else such as Virtual Reality services at exclusive discounted rates,” he added. Robinson stressed the importance of client feedback. According to him, not doing anything to collect customer feedback leads to failure. It is vital in improving your business strategy and marketing plans. “We do regular client surveys to ensure they are happy, and if they are not, we get to the bottom of it and fix it ASAP,” he said. Your current and previous customers are your springboards for acquiring new clients. Each one of them has a voice that will impact the products and services that your company offers. Online is the easiest way to conduct a survey and there are lots of ways to do it. Consider email, mobile, paper, phone surveys or even single-question polls. Survey them every couple of weeks to see if they’re happy with your team’s service and support. Compile everything in a report and provide actionable feedback to fix the bad ones. Communication with the internal team is also important. Ask for their suggestions. As a leader, you must listen to them for they are key to shaping the services and products you’re offering. Guide them so everyone acts on the solutions in a structured method. That way, you’ll have the greatest control over your business. “We contact our designers and consultants to ensure everyone’s working towards the target,” he said. 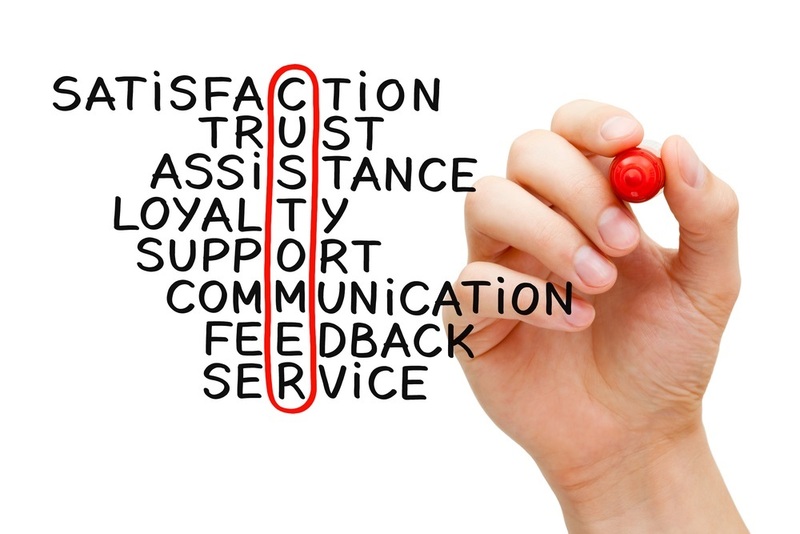 Customer satisfaction is the key to long-term success. If you’re not asking for feedback, how will you know the ways to be better? Don’t wait until your biggest client moves their business to your competitor. Collect and analyse feedback to develop strategies. Having the knowledge will help you make better decisions for your business. Follow Superdraft on Facebook, LinkedIn, and Instagram.